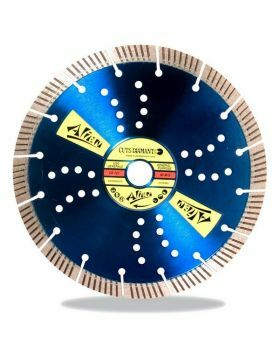 Extremely thin diamond blade with turbo rim, which is able to cut different materials without tool change. 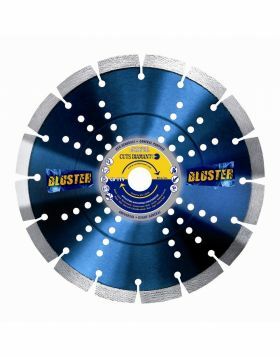 It is suitable for cutting natural and artificial stone, porcelain, marble, ceramic, concrete, reinforced concrete, brick, building materials, profile sheet metal. 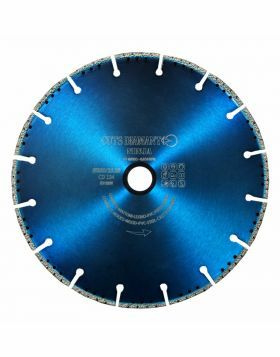 It is available in the diameters 115mm, 125mm, 180mm and 230mm.